At a pre-arranged meet-and-greet, prior to his concert on February 18 at the Poway Performing Arts Center, guitarist/singer/composer Jose Feliciano mingled with attendees and guests of the San Diego Braille Institute. The meeting, which included admission to the concert, was coordinated by San Diego Braille Institute Director Jay Hatfield with Feliciano’s manager Helmuth Schaerr. Hours before his scheduled concert, totally blind Feliciano joined the gathering in the spacious theater lobby to individually greet each of the Braille attendees and their guests. He was very cordial and made a point of devoting individual attention to each and every one with whom he spoke. IFZ guiding light Jose Rosa and his technically talented wife Michael Ann volunteered as sighted guides for Braille-ites Denise Bravell and yours truly. Denise is a gifted musician and composer, with whom I collaborated by providing the below lyrics, “Twilight in Chiaroscuro.” Next month, with Tommy Dodson’s collaboration, Denise will record that song at the Musical SoCal recording studio. Denise obtained Jose Feliciano’s autograph on four rare albums of his that she was able to obtain just before the meeting. I reminded Feliciano that we had met 50 years ago, when he was appearing at the Caribe Hilton Hotel in San Juan, Puerto Rico. I left with him, in Braille, my English-language version of, “En Mi Viejo San Juan,” a song cherished by many with ties to Feliciano’s native Puerto Rico. I also left with him a copy of my memoir, “Manzanero, Mexico, My Dear Old San Juan, Moi,” as well as a Musical SoCal CD of original songs by Tommy Dodson and me. Some of us were asked to do individual video interviews for the Braille publicity team. We then left for dinner, and returned for the concert. Despite the years and a snow-capped dome, Jose Feliciano is as energetic as ever. He somehow still retains his vigorous voice. He has five side-men and a female back-up singer from Slovenia. Except for one Hispanic name and an African American on Drums, the rest are Austrian monikers with which Feliciano struggled mightily. There was an extended intermission, which allowed time to purchase the star’s recorded wares on display in the lobby. 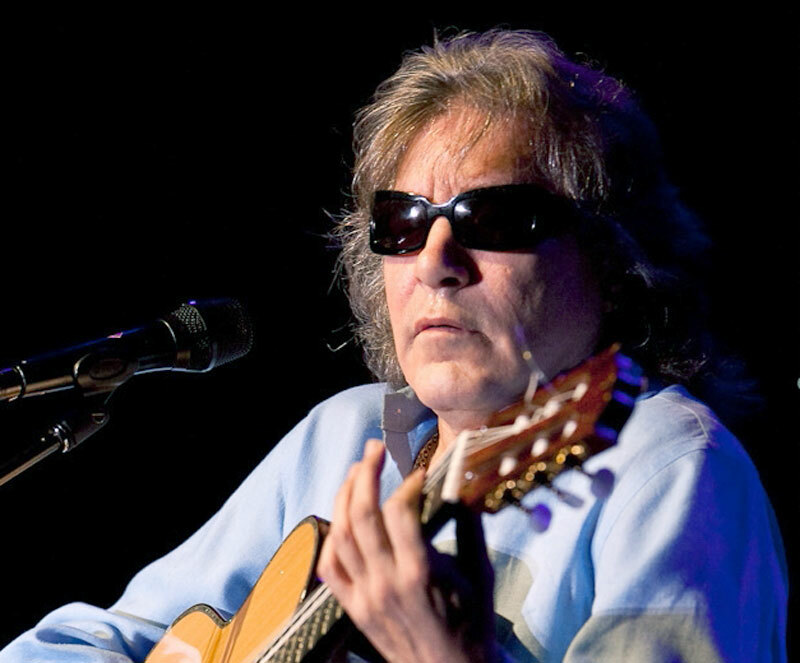 During the meet-and-greet, Jose Feliciano aired a pet peeve of his. With regard to blind students, he is horrified at the tendency in some schools to replace Braille reading and writing with audio equipment. He rightfully maintains that adherence to strictly audio instruction robs students of the intellectual and tactual literacy that comes from reading and writing. Feliciano stresses that, without Braille reading and writing, students are deprived of the skill of manually setting up sentence structure, learning proper spelling, paragraphing and punctuation. This is something to which I had not given any thought, since I had been writing long before I became visually impaired. Since I continued to write with the aid of assisted technology I am perfectly willing to relax and utilize all of the audio systems available. 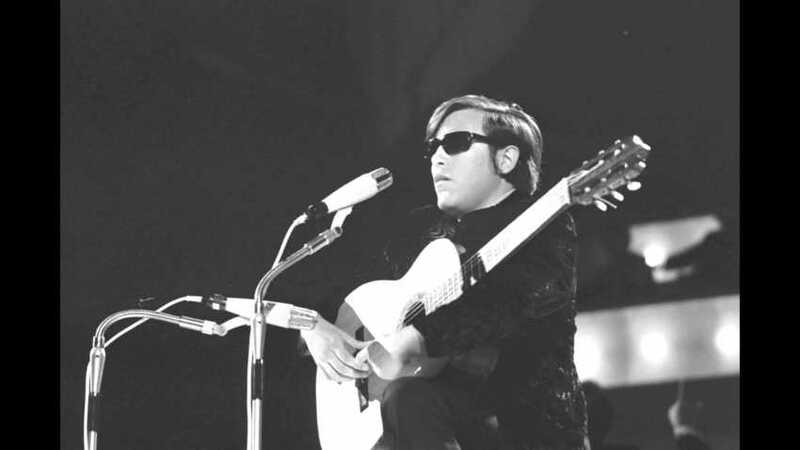 So, here’s to Jose Feliciano, a perfect model of persistence for seniors, performers and the other-abled. That is how daylight ends. In a rapture of soft, velvet hue. To cast the world anew.